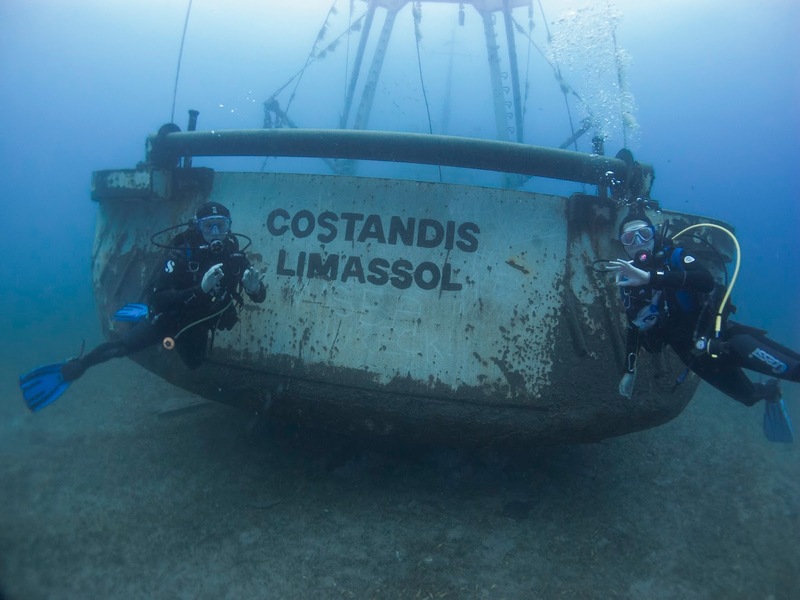 Scuba Tech Diving Centre, Cyprus: A Diving Trip to Limassol, Cyprus! 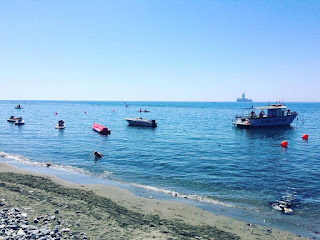 A Diving Trip to Limassol, Cyprus! Every so often, we get the opportunity to travel down to Limassol and dive the wrecks that are located there. The trip is a fab day out, and one not to be missed!! I've been very lucky the past couple of times as I have been the one that has made the journey down. I struck lucky for a third time, and I was able to take Alex and Michael down to Limassol. It takes the whole day and has a similar layout to a Zenobia trip, however Limassol is a lot further. 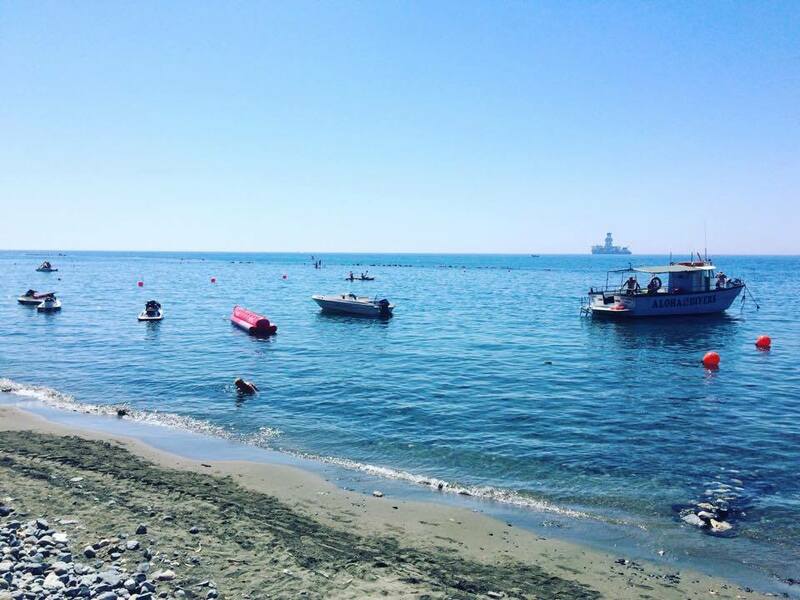 It takes roughly an hour and a half to drive down from our shop in Protaras, down to the Dive Centre in Limassol. It is a lovely 6am start at the shop, which gives us time to analyse our gases and pack our equipment ready for the day. Once everything is packed and ready to go, final checks have been completed it is time to hit the road. Not forgetting the essential bakery stop on the way to stock up on tasty supplies for the journey!! The journey down is beautiful with the surrounding crystal blue seas and the backdrop of the mountains, combined with great company, makes the journey very pleasant. Once we get there, it is a case of unloading all of our equipment and setting up our kit ready for the dives ahead. It is time for a quick coffee break and then it's off to dive the first wreck of the day, the Costandis! The boat ride takes less than ten minutes. The scenery from the boat is lovely there is the backdrop of the mountains with the coastline of the city just in front. 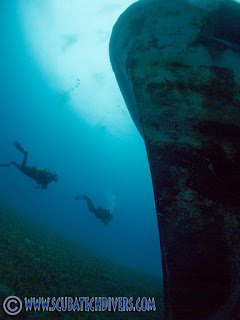 The two wrecks lie in a regulated no fishing zone. 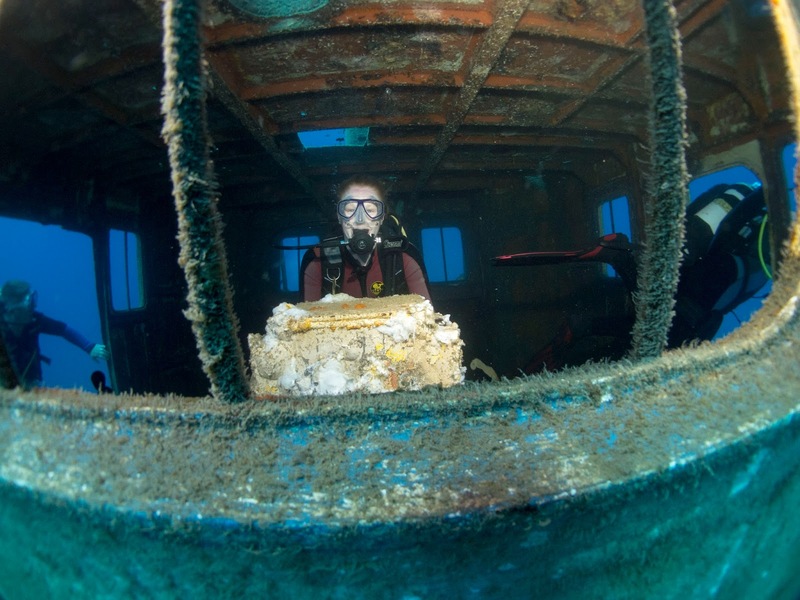 The wrecks have been purposefully sunk on a sandy bottom to create the best possible conditions for marine life to create their new homes in order to breed, and remain a permanent feature on the wrecks. The first wreck sits at 24m, and is haven for fish life! it is home to large grouper, Amberjack, Nudibranc, octopus and shoals of mini fish to name a few. 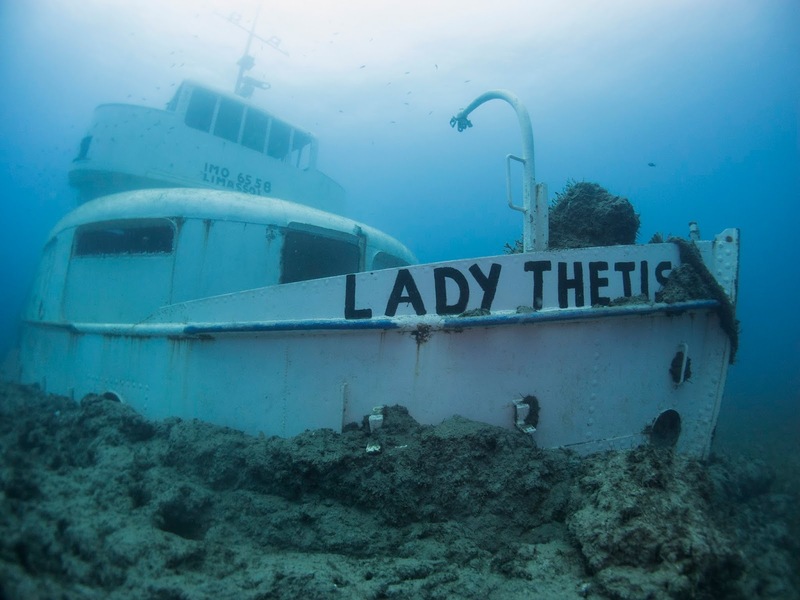 The vessel is an old bottom trawler, with plenty to explore. The engine rooms are very much intact. 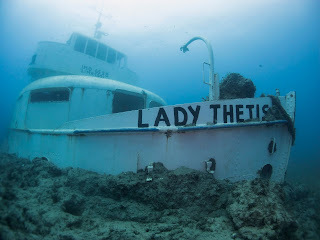 Very little has been stripped of the wreck itself, which makes it very interesting for us divers! The grouper in this area are particularly large, I remember one time, I was entering the engine room, and out the corner of my eye I saw two large bright eyes in the corner of the room, as I approached it, it was massive! it took up the whole doorway, in the "You shall not pass" stance! it was so cool! After the first dive, it is a trip back to the dive centre to refuel on snacks and plenty of coffee (which is ready and waiting upon our return!) and to swap tanks over whilst we have our surface interval. for various types of Flora and Fauna which is great for photographers as well! Both wrecks are very enjoyable, and the change of scenery makes for a very lovely day out! After we get back to shore, it is a case of loading all the equipment back onto the truck and making our way back home. Of course there is a pit stop at McDonalds to break up the journey and to feed our hungry bellies; having done two dives it's safe to say I'm always starving afterwards! Both the Costandis and the Lady Thetis have several points of interest including the engine rooms,bridges, Store rooms, a number of decks on different levels, doorways and hatches, stairwells, propellers and winches. If you haven't dived the Limassol wrecks already, I would definitely recommend booking your spot for 2018!